Eastman Kodak, the company which pioneered so much in photography from the 1880s through the 1960s, could have owned digital imaging; the very first electronic camera was born in one of Kodak's labs. Instead, they missed that boat, going into a tailspin that resulted in their eventual bankruptcy. 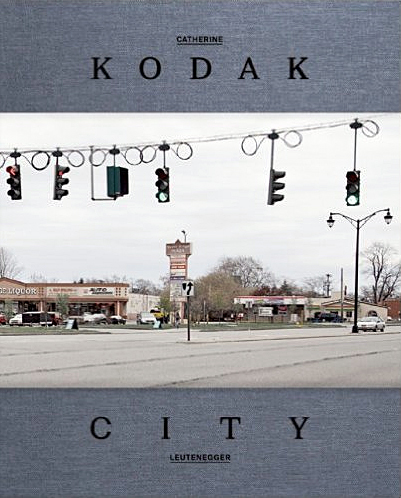 Tied to that economic engine, the fortunes of Rochester, New York, the archetypal company town where Kodak had its headquarters, fell as "Big Yellow" collapsed. Catherine Leutenegger's attentive, deadpan studies of Rochester today explore the face of a city once central to photography but now irrelevant and adrift. n August 1993, when Nirvana was in New York to perform at the legendary Roseland Ballroom, Jesse Frohman photographed them for the London Observer’s Sunday magazine—the last formal photo shoot in which Cobain participated before he committed suicide on April 5th, 1994.